even up to a full lorry! Choose one of the three predefined types, or specify the exact dimensions and weight yourself. Add a description and a photo if possible. Next, set the collection and delivery location, and the preferred time. Based on the details of your shipment, the affiliated drivers determine if they still have space and/or time to handle your transport. They will contact you via e-mail, online via MyVengo or through the Vengo app to give you their quote. The choice is yours! You can get in touch with the driver of your choice directly to make further arrangements. At any moment, you can track the shipment and the route of the driver, from collection through to delivery. Yes, anyone who needs to ship something, both private and professional, can count on Vengo. Have you bought or sold something that does not fit in your car, and do you want to have it transported? Is the collection or delivery point just too far away? Then Vengo is exactly what you are looking for! As a private individual, you can post a shipment and find a driver who can take your goods along. Convenient, fast and reliable. Do you have a super urgent shipment that needs to leave your premises today? Or perhaps a less urgent transport but you are looking to reduce the shipping costs by sending it along with an existing transport? 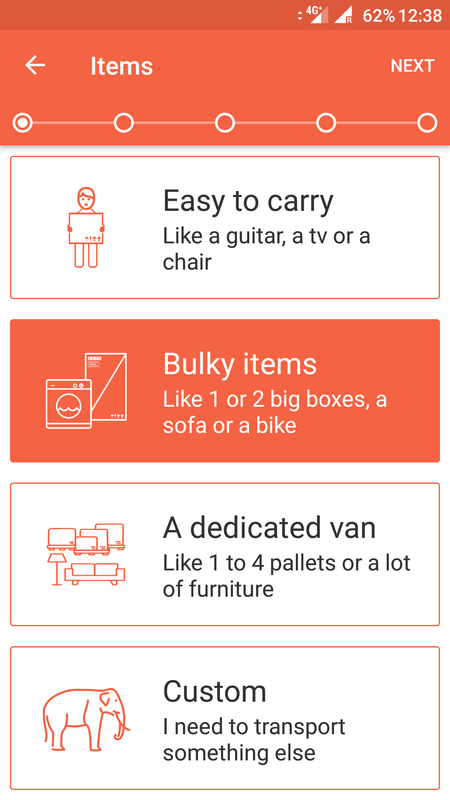 Whether it concerns one or multiple palettes, an oversized item, or anything else, as long as you can fit it in a van or a truck, you can count on Vengo. Through our transport platform, in just a few clicks, you reach numerous available drivers who can get the job done. Yes, the goods are always insured by the driver in accordance with the terms of the CMR convention, i.e. the international rules that apply to road transport. This means that your shipment is insured for a value of approximately 10 Euros per kilogram. 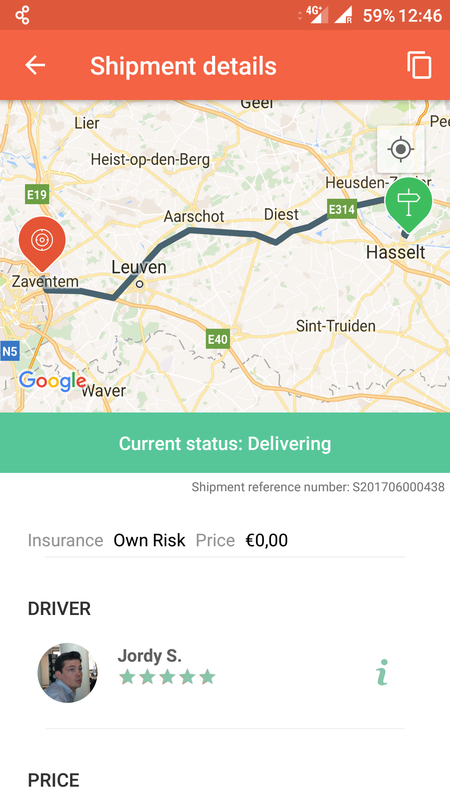 Vengo can increase this insurance to a value of 500, 1,250, 2,500 or 5,000 Euros per shipment, but you need to choose this option before you assign the shipment to a driver. If you do not choose the increased insurance, you will always have to make any possible damage claim directly to the driver. However, if you do choose the increased insurance, than Vengo will handle the claim and the settlement for you. To find out more about the conditions linked to this extra insurance, as well as which good are excluded, please consult our terms and conditions. At the moment, a private individual can only pay by credit card (type Visa or Mastercard). Regular bankcards are currently not accepted, but will be added to the payment options in the near future. If you have created a business profile, you can pay either by credit card or pay by invoice. The latter option needs to be requested when entering your shipment. In this case, Vengo’s insurance company will first examine your request and do a credit assessment of your company. Upon approval, Vengo will activate the option for invoice payment with a standard payment term of 7 days from the invoice date. Failure to meet the 7 days payment term will result in the invoice payment option to be automatically switched off. 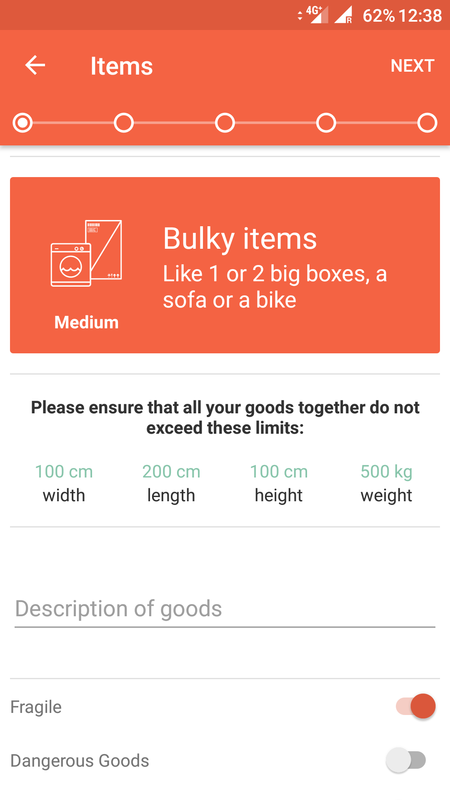 I want to ship goods that are bigger than the predefined LARGE type? By selecting CUSTOM type, you can enter the size and weight of your shipment. This can be done for both small and large items. Do note that there are no drivers in the Vengo community with permits for exceptional transport. As a result, the maximum permitted dimensions are those of a tractor-trailer type truck – meaning shipments are limited to a maximum length of 13.60m, a maximum width of 2.50m, a maximum height of 3.00m, and a maximum weight of 30 tonnes. When creating a shipment in the system, please make sure to include a description and/or a photo, so the driver can properly assess the load. My goods are long, but small. How do I make this clear to a potential driver? What kind of goods can I ship? All types of goods can be shipped, from small to large. Do note that there are no drivers in the Vengo community who handle refrigerated transport or loose bulk goods (such as unpacked sand, gravel or pebbles). The same goes for liquid, unpacked goods. In addition, as it is not allowed to ship prohibited or dangerous goods without prior certificates or licenses, these are also excluded. Please refer to our terms and conditions for a full list of the excluded goods. Upon delivery of the goods, you will automatically receive an e-mail with proof of delivery. If you would like to receive an invoice with your company name, address and VAT number, make sure to include these details in your profile before you create the shipment. Should you still discover a mistake on your invoice, please contact us directly by e-mailing info@vengo.technology or calling +32 11 91 08 91. It is cheaper to send my package by post? For smaller packages, Vengo might not always prove the cheapest solution. However, it might just happen that a driver needs to be in the same place, which could then will prove cheaper. In most cases, Vengo becomes interesting when the goods you want to ship are larger than what you would normally fit in the trunk of a car. Also make sure to check whether the scheduled day(s) and time of collection are not too limited, as this would mean that naturally fewer drivers are available. 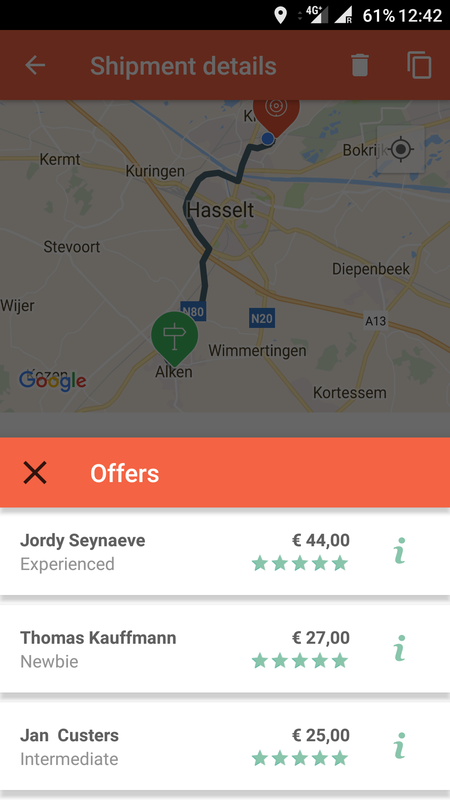 I don't receive any offers from drivers. Why is this? We can see three possible reasons for this. Firstly, you may have requested a collection or delivery location that is outside the scope of Vengo. Please check here Vengo’s geographical scope. Secondly, the collection time you set might be too specific, so possibly, no driver is available. Finally, it might also be that it is not clear to the driver what exactly you would like to send. 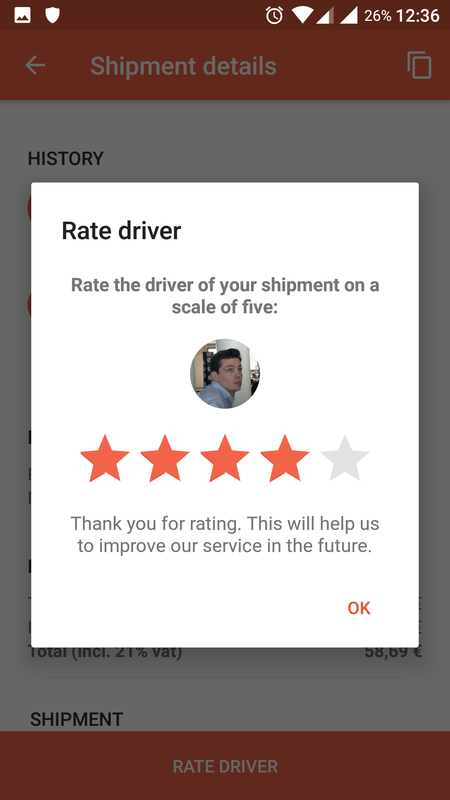 It is recommended to add a description and/or photos to your request, so the drivers can assess more easily if they can combine your shipment with another transport. Can I change my shipment after booking? It is not possible to change a created shipment. But you can cancel and recreate your shipment. A handy tip to simplify the process: refer to the details of the shipment already entered, or to those of a previous shipment. Top right of the page, you will find a symbol to create the shipment again. One click is enough to be taken through the creation process again, but all the data will be pre-filled, except the desired date and time.